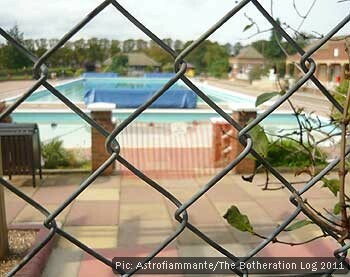 I do accept that it must be a logistical nightmare extending the opening hours for an outdoor pool and, once the filtration system’s been turned off for the year and the lifeguards are back at college, I would imagine that it’s not really going to be usable again until next summer. But it does show up the problem with shutting up shop as early as the second week in September. It’s been a mixed year on the outdoor swimming front. On the one hand we’ve got excellent use out of the local pool with regular trips for swimming and sunbathing. The flipside of this coin was that venturing further afield – even as far as the next town – was something we just didn’t get around to doing. So I’ve done little outdoor swimming that wasn’t on my own doorstep and none that was properly wild or in the sea. The weather is partly to blame but mostly I am. Worst of all, my planned trip to Devon and north Cornwall didn’t happen – and this against the background of a tremendous and important battle to keep Bude Sea Pool open to the public. Somehow we just didn’t have the time or money to spare in early June, which was the only time when such a trip was practical. So we need to make that a real priority next year.